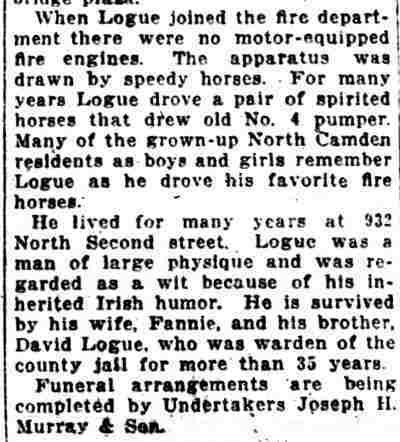 JOSEPH LOGUE was born in July of 1855 according to the 1900 United States Federal Census. 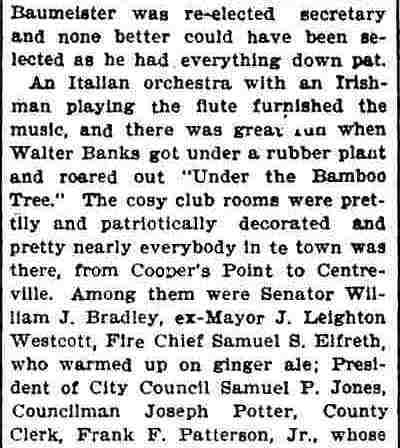 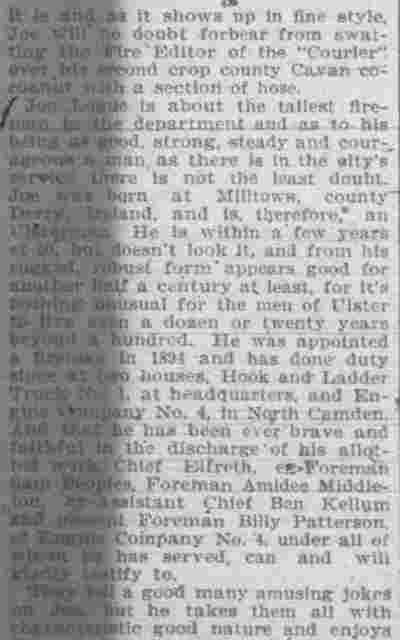 He was a native of in Milltown, County Derry, in what is now called Northern Ireland and was a cousin of David Baird Sr.
Street in North Camden. 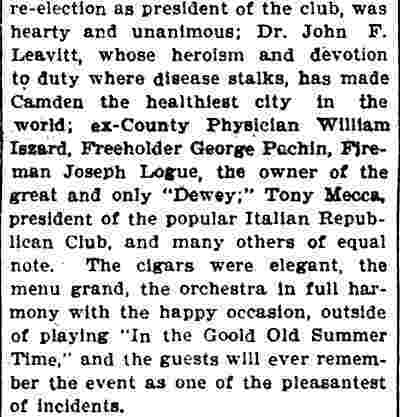 Over the next ten years he is in and put of Camden City Directories. 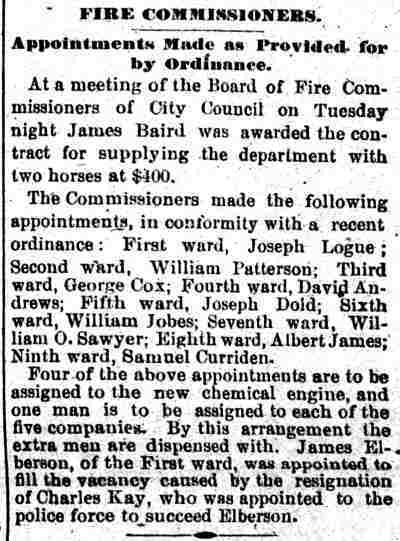 He and his brother are both listed at 131 Birch Street in 1878. 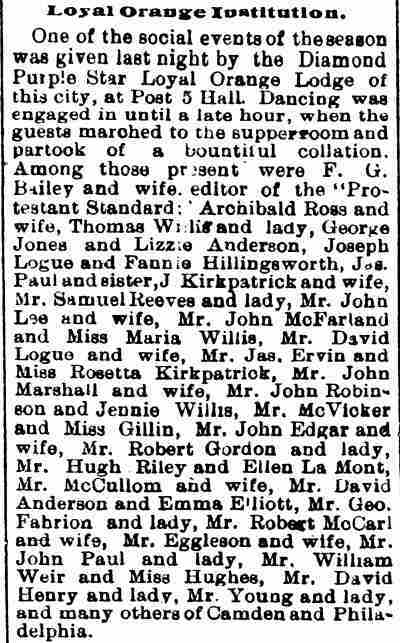 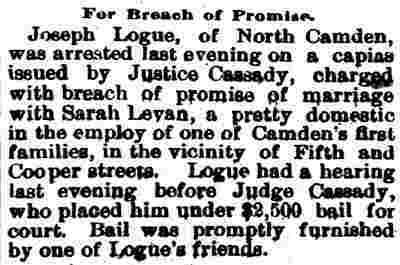 Joseph Logue reappears in City Directories in 1883, working for the Pennsylvania Railroad. 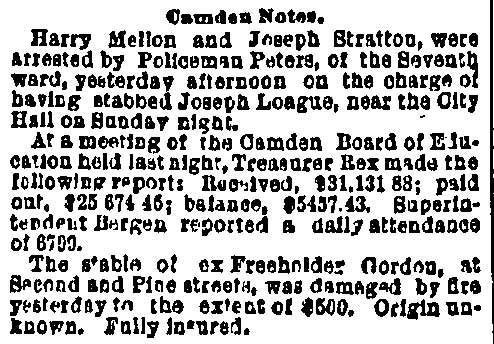 from 1883 to 1887 he boarded at 525 Arch Street. 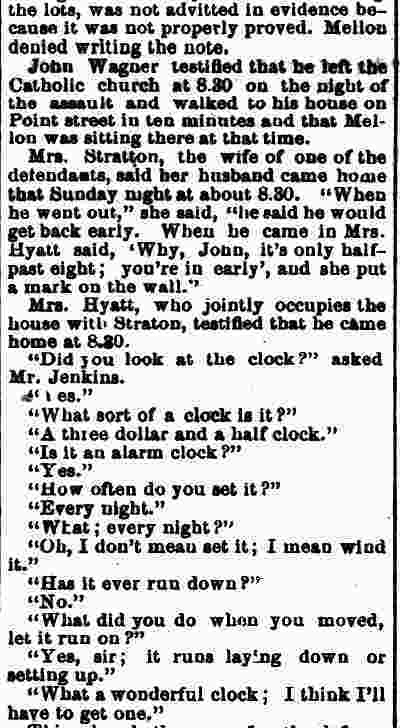 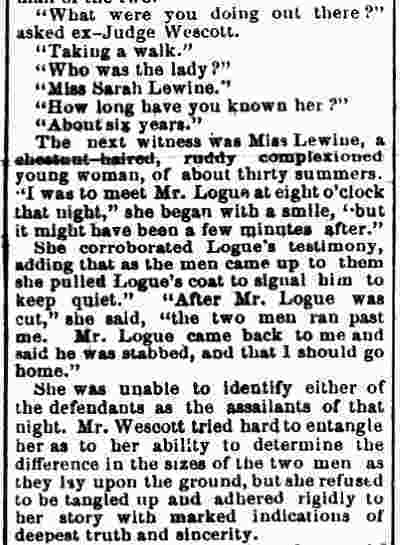 Around 1882 he met and began seeing Miss Sarah Lewine (also spelled Lewin), who worked as a domestic servant. 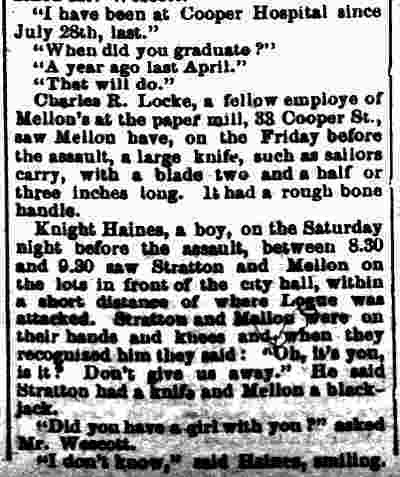 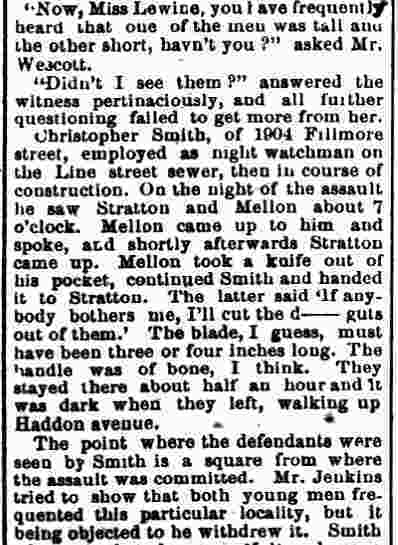 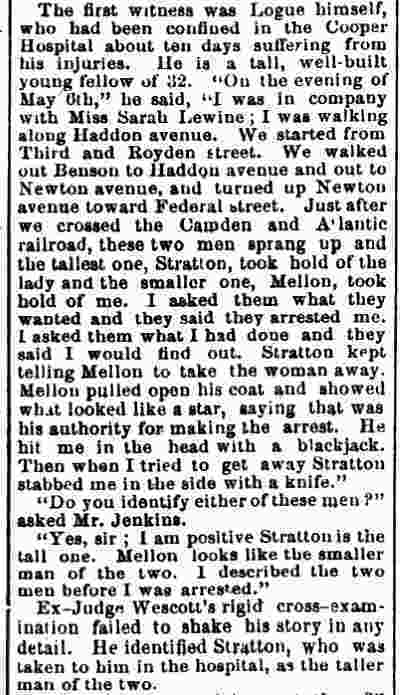 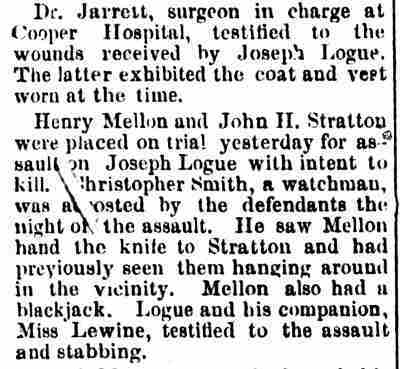 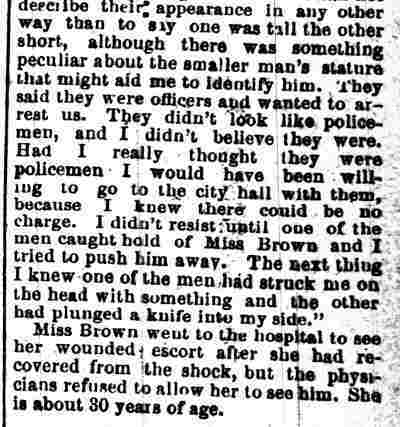 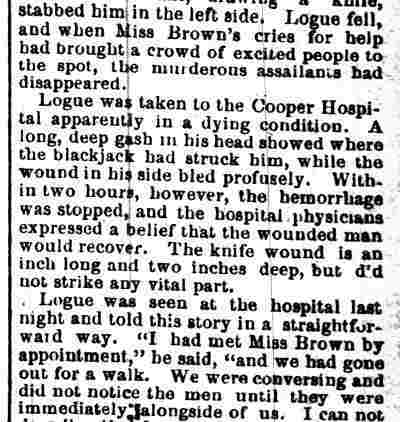 Joseph Logue was out walking with Miss Lewine in May of 1888 when he was assaulted by two men and stabbed. 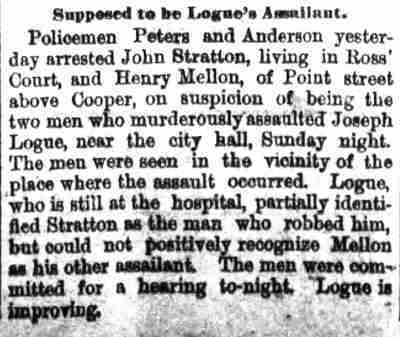 The assailants were arrested, tried, and imprisoned. 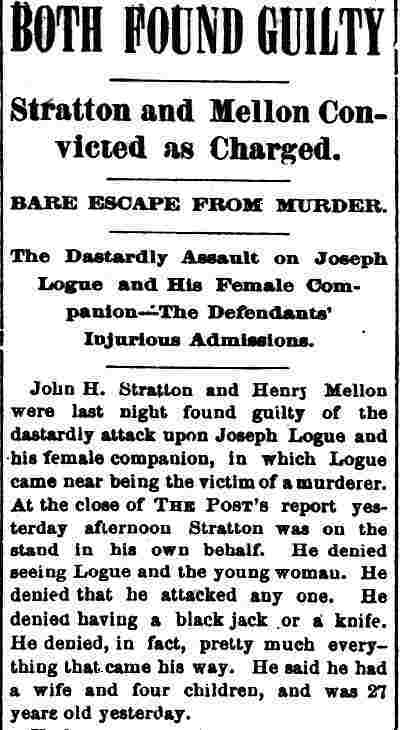 Joseph Logue moved to 729 Federal street prior to the 1891 Directory's compilation. 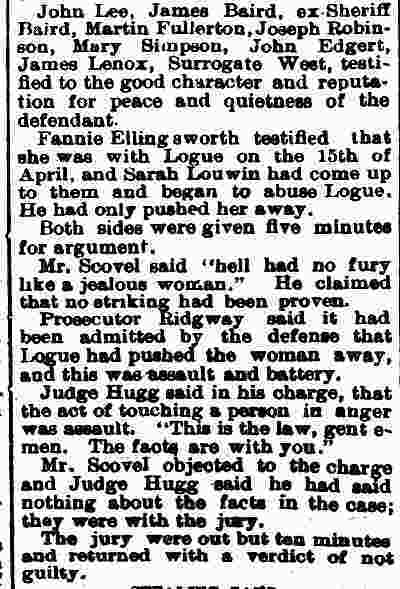 His relationship with Miss Lewine lasted until the spring of 1891, and ended badly, with Miss Lewine suing Joseph Logue for breach of promise. 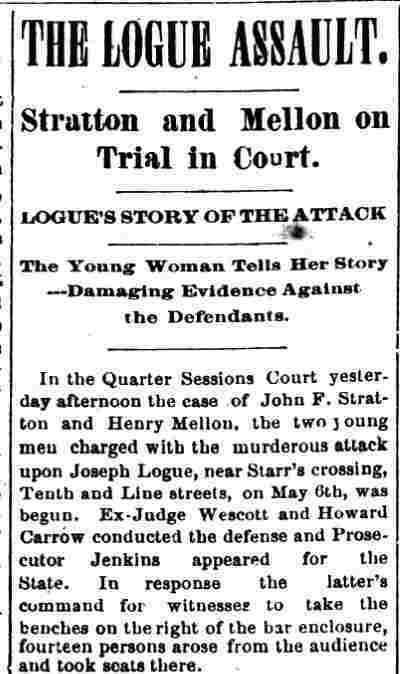 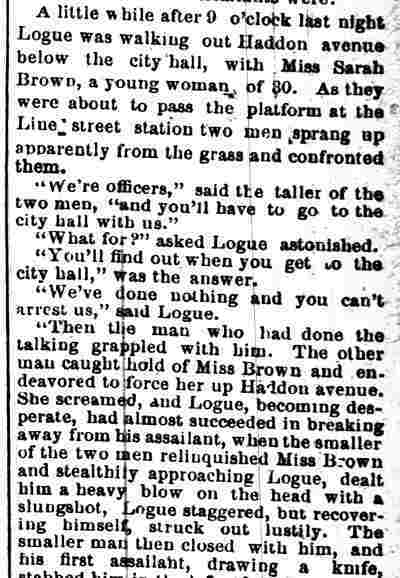 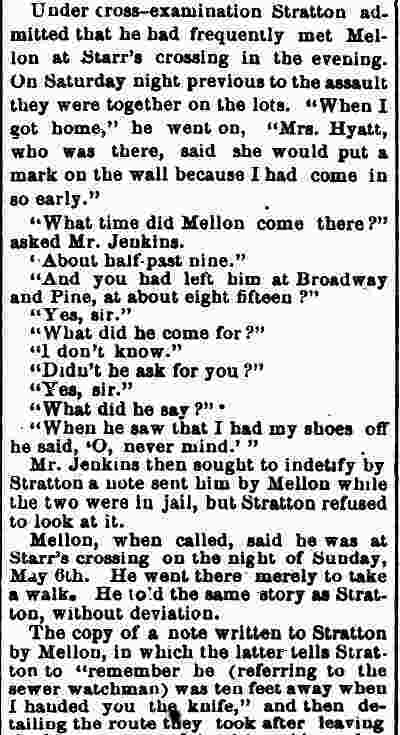 By June of 1891 Joseph Logue was seeing Miss Fannie Ellingsworth, and wound up in court when Lewine accused him of assaulting her when she confronted him and his new friend on the street. 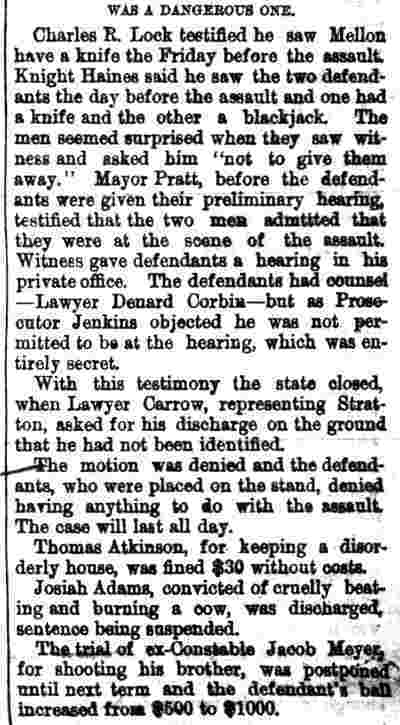 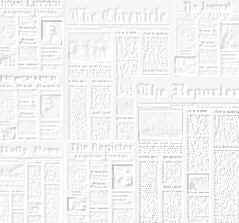 A jury declared him not guilty after ten minutes of deliberation. 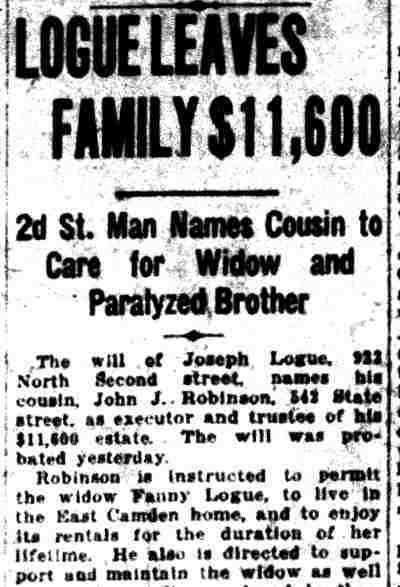 He was living at 129 Birch Street in 1891, and 114 England Place in 1892. 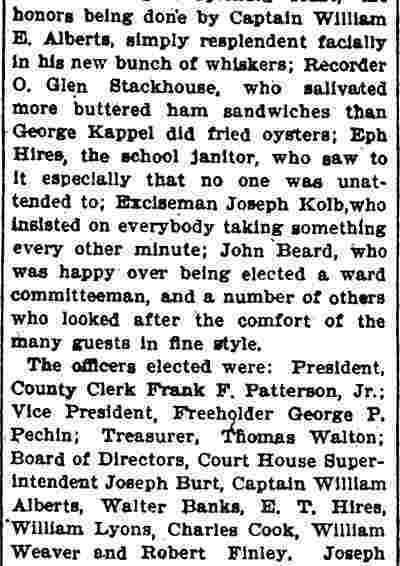 Directories in 1893 and 1894 have him at 410 North Front Street. 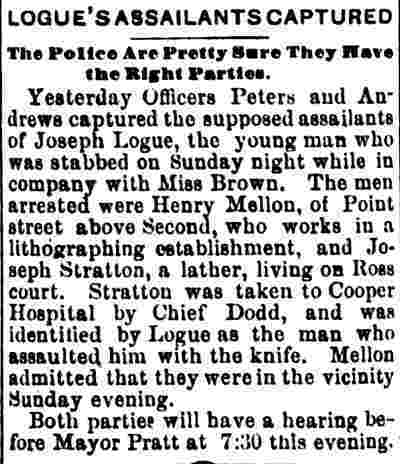 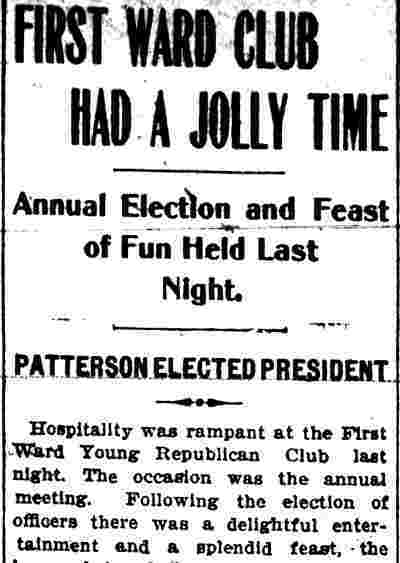 Joseph Logue and his brother David were both staunch Republicans, as was there cousin, David Baird Sr., the head of the local party who served as Sheriff in the 1880s. 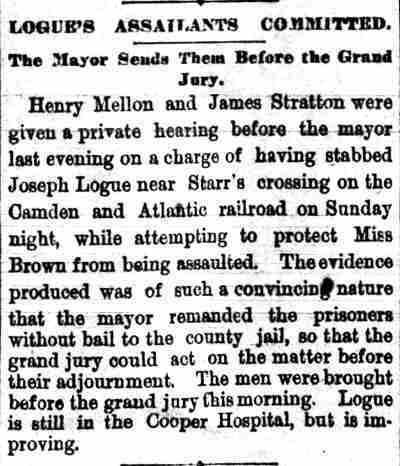 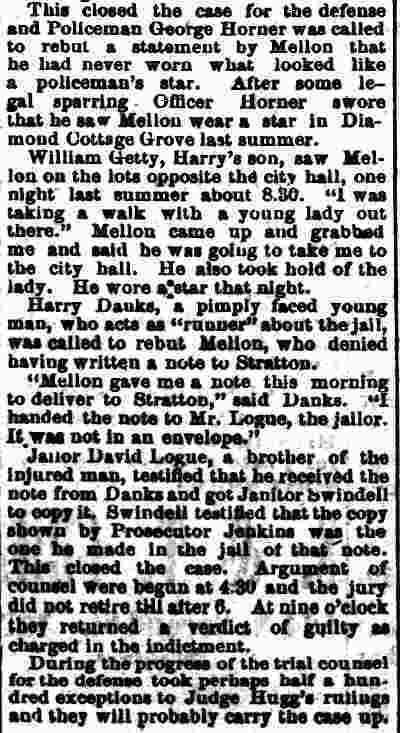 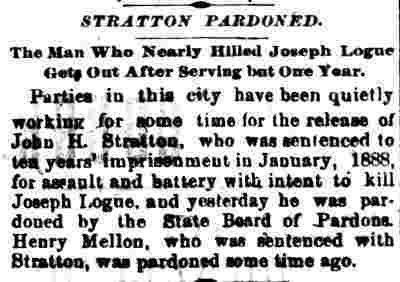 David Logue was appointed turnkey at the County Jail on November 19, 1887. 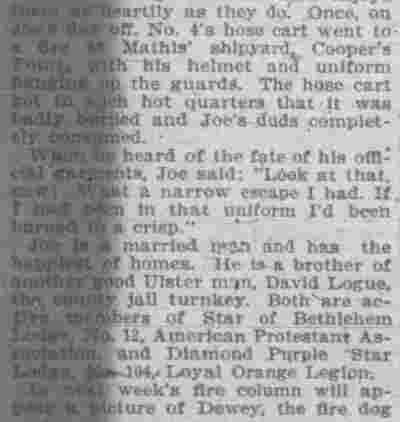 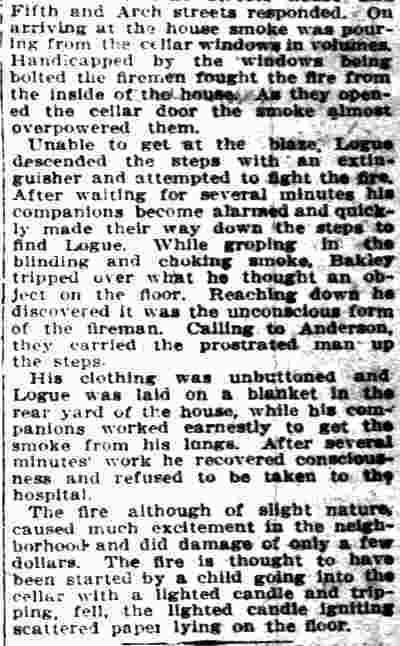 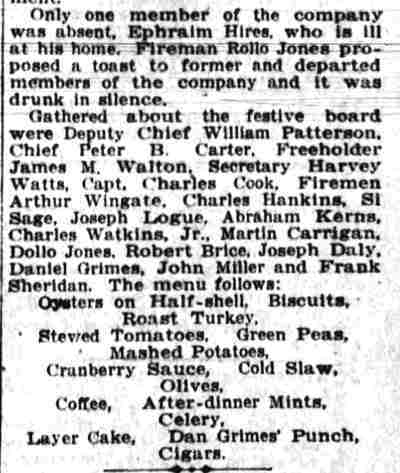 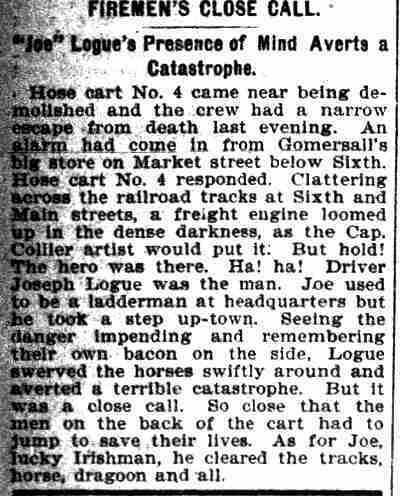 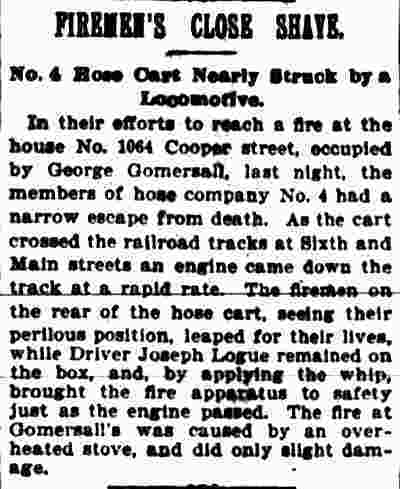 Most likely due to his political and familial relationships, Joseph Logue was appointed to the Camden Fire Department on May 29, 1894, and assigned to Hook and Ladder Truck No 1, now known Ladder Company 1, quartered on North 5th Street between Arch and Market Streets. 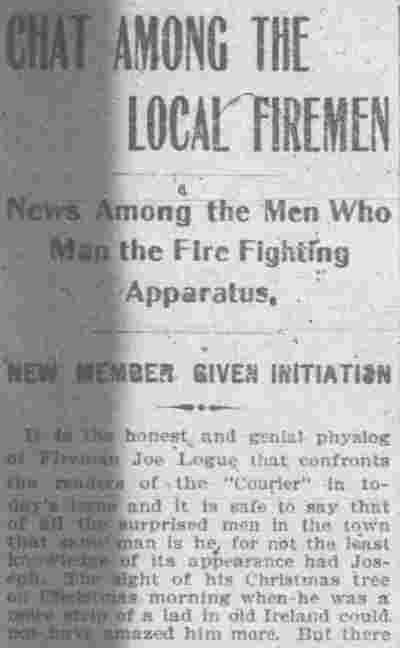 When Joseph Logue was first assigned to Hook and Ladder Truck No 1, the company was led by Foreman, Benjamin L. Kellum; the tillerman was Peter S. Gray; and the laddermen consisted of Steward D. Bakley, John Gray, Edward Weston, Samuel Peoples, and William Bogia. 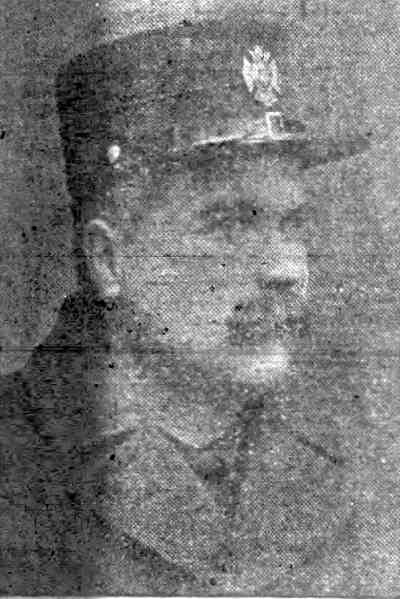 When Bogia died later in 1894, Samuel Peoples took his place. 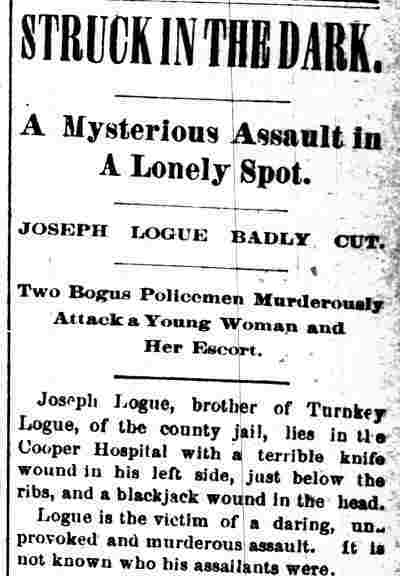 Joseph Logue moved to 527 North 2nd Street by 1895 and remained at that address as late as 1899. 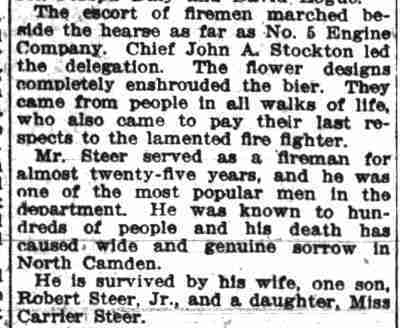 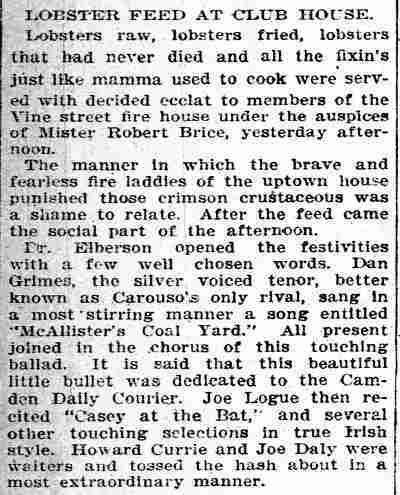 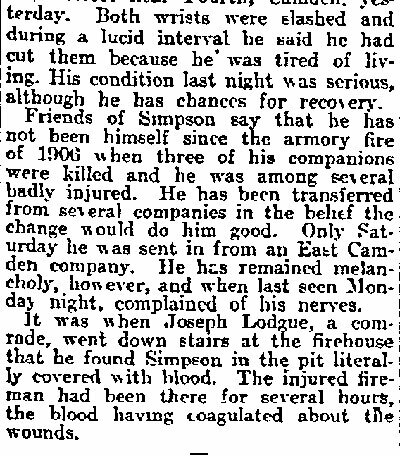 He was sent to Engine Company 4 on April 15, 1898. 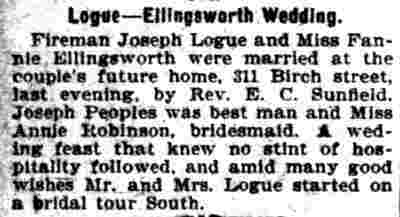 On June 15 of that year he married Fannie Illingsworth in Camden. 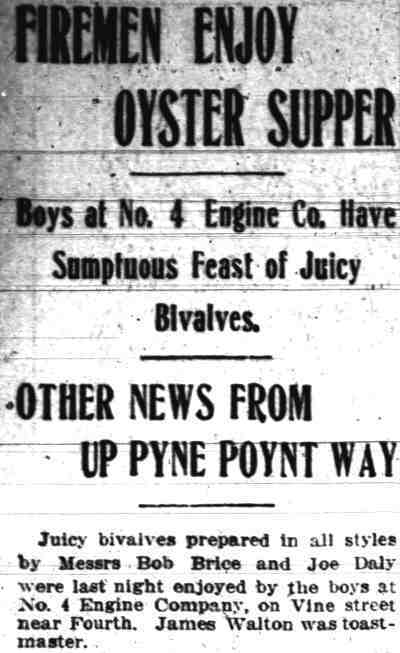 They lived at 311 Birch Street in 1900. 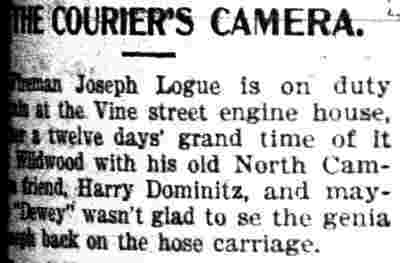 By 1901 they had moved to 932 North 2nd Street, where they would remain for the rest of Joseph Logue's days. 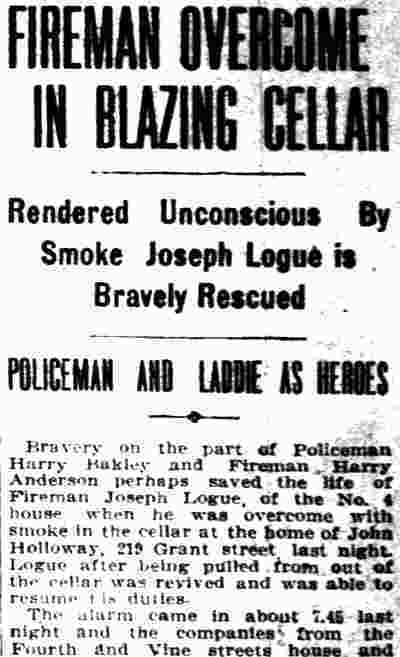 Joseph Logue served the rest of his career at Engine Company 4. 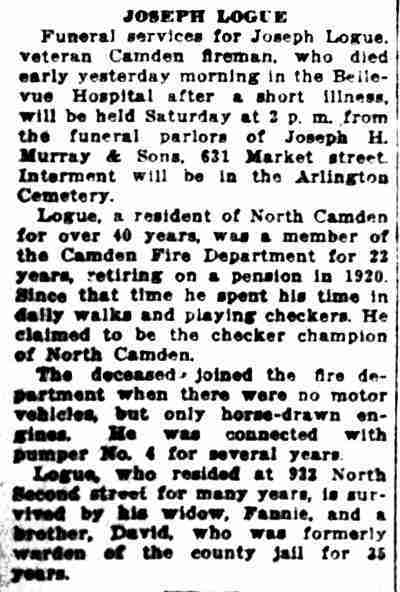 He retired on March 1, 1920. 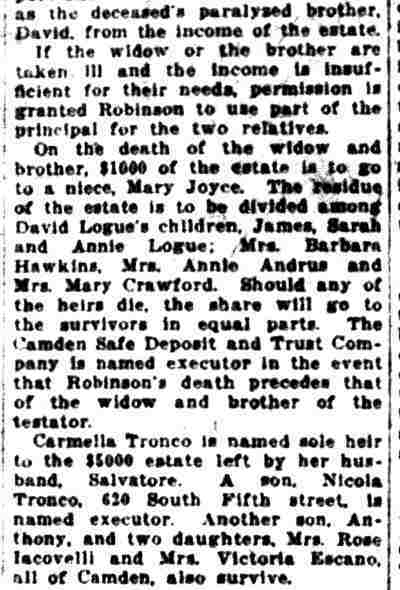 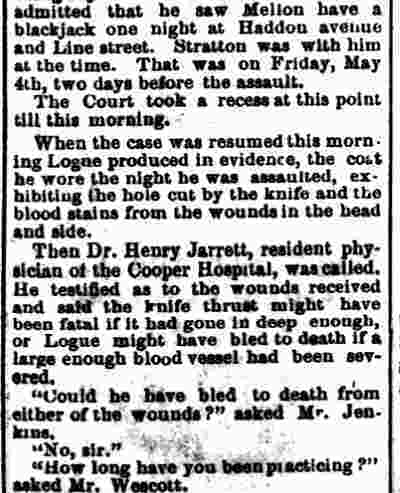 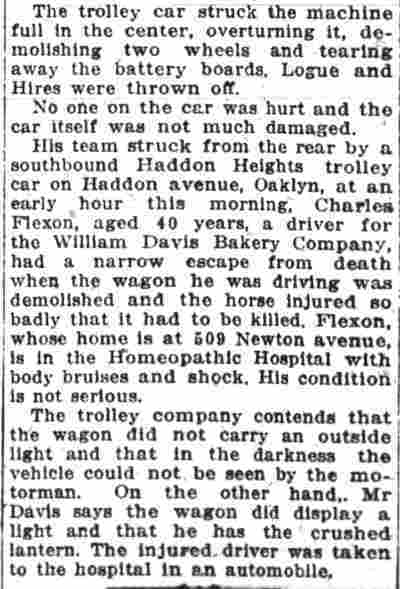 Joseph Logue died at Bellevue Hospital in Camden on April 20, 1927. 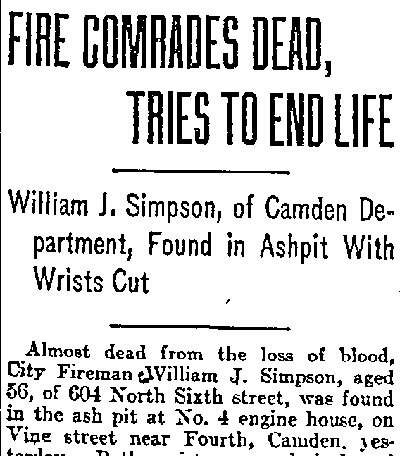 He was survived by his wife Fannie and his brother, David Logue, who had retired as the warden of the Camden County jail after 35 years of service.